The final phase of Bring Your Own Chair begins with a visual and participative event in Ballyhack in Wexford at high tide, just after 6pm on Saturday, April 6. Members of the community are invited to wear blue and bring their own chair and board onto the Passage East Ferry at Ballyhack. The ferry will go out onto the estuary and instead of heading straight to Passage East it will reorientation so that people have a view up the estuary. Particpants will be invited to do a little Mexican, or more like Wexican, wave as part of the event. This event connects to the strong traditions the people of Ballyhack village had to salmon fishing on the estuary for generations and how they lived by the tides. After Ballyhack, equally visual events are planned across the three counties and will be engaging with the various communities to help make these happen. Michelle Browne is collaborating on the creation of ‘Terra Firmishʼ , a new musical work commissioned by St Patrick’s Festival. 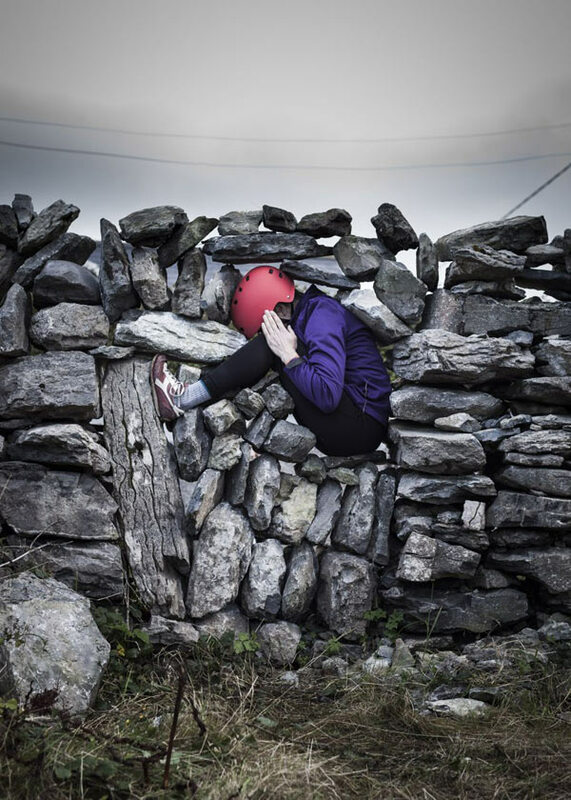 Incorporating visual designs from her research, Michelle is partnering with the composer Seán Mac Erlaine and the dancer Emma O’Kane to deliver a poetic interpretation of the history of Teampall Caomhán, a tenth century church on Inis Oírr. Accompanied by harp (Maeve Gilchrist), marimba, percussion, (Alex Petcu), clarinet, and electronics (Seán Mac Erlaine ). Michelle Browne receives funding from the Arts Participation Project Award to develop ‘The Citizensʼ Cycleʼ, a large-scale collaborative arts commission echoing the international Velo-City Cycling Conference hosted by Dublin City Concil in June 2019. ‘The Citizensʼ Cycleʼ looks at cycling city infrastucture and inclusion in the city through three arts commissions. The artists (James O hAodha, Rhona Byrne, Cliona Harmey) work with various communities (in parternhip with Bealtaine, An Taisce, Fluid Edge), to develop a series of public performative projects. They will all culminate at the Velo-City Cycling Parade on 26th June. A Masterclass is also organised in May (29th-31st) to foster greater capacity in the arts community in Dublin to deliver projects in and for the city. Michelle Browne receives fund from The Creative Producers International for her ambitious project exploring cycling in the city and its infrastructure: ‘The Citizensʼ Cycleʼ. The three collaborative arts commissions curated by Michelle fulfill the objectives of the CPI Investment Fund to ‘provoke, inspire and engage people in ocnversations about city changeʼ. Michelle Browne is delighted to announce that ‘The Citizensʼ Cycleʼ also received funding from Dublin City Council Arts Office. By supporting these collaborative arts comissions, DCC, host of the International Velo-City Conference ‘Cycling through the Agesʼ, enables a potential discussion between policy makers and artists raising the voice of citizens, from experienced to novice cyclists. Michelle Browne will take part in Creative Producers International Tokyo Lab from 24-28 September 2018. The Lab will continue the programme of Creative Producers International to build capacity in the cohort to become change makers in their city. Alongside her peers, Michelle will deliver a bespoke city experince for delegates at the Making the City Playable Tokyo Conference on the 29th of September, which looks at how to bring play into the development of imaginative new ideas for urban spaces, engaging communities to think about the future of Tokyo. 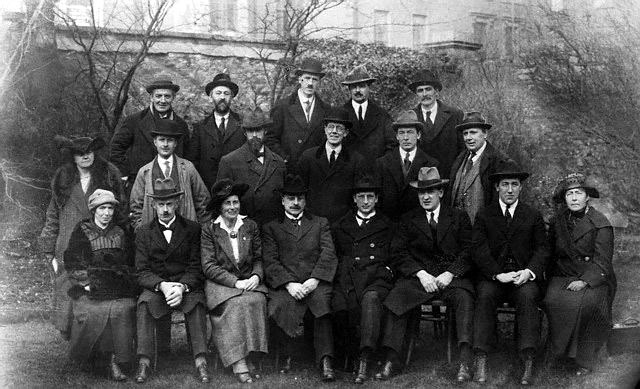 Mná na hÉireann acquired for the Arts Council Collection. 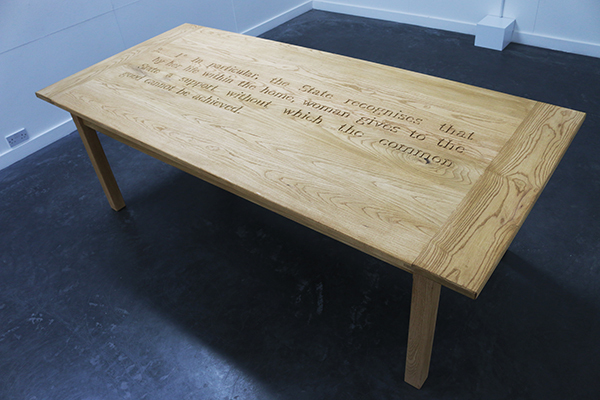 Mná na hÉireann is a sound installation with carved wooden table, that looks at women’s engagement with public political life in Ireland. Made during the 2016 introduction of gender quotas for selection of political candidates in Ireland, Browne interviewed a variety of women who have run for public office in Ireland to gain insight into their motivations for getting involved in politics. Interviewees include President Mary Robinson, Senator Ivana Bacik, Lynn Boylan MEP and Frances Fitzgerald, recent Táiniste. The work focuses on the politicising moment for women that drew them into public life and their mentors or supporters on the way. Moreover, it looks at the continued existence of article 41.2 in the constitution designating the special place of women in the home, considering the home as a site of political activity by highlighting campaigning or activism that was undertaken from the home by women. Mná na hÉireann is a non-partisan look at women's engagement in politics. The work gives us a portrait of a nation over the past 40 years to the present, in particular women’s position and role within Irish society in that time. Michelle Browne will work with communities and individuals over the next six months to create a portrait of 12 small towns and villages across counties Kilkenny, Waterford and Wexford. Towns and villages include Kilmacthomas, An Rinn, Tallow and Passage East (Waterford); Ballyhack, Taghmon, Buncloady, Courtown (Wexford); and Cuan, Goresbridge, Slieverue and Kells (Kilkenny). Town Workshops and an international residency programme will be announced over the coming weeks. A census records data about a people. A census doesn't often tell us how we inhabit our towns or what we do for fun! 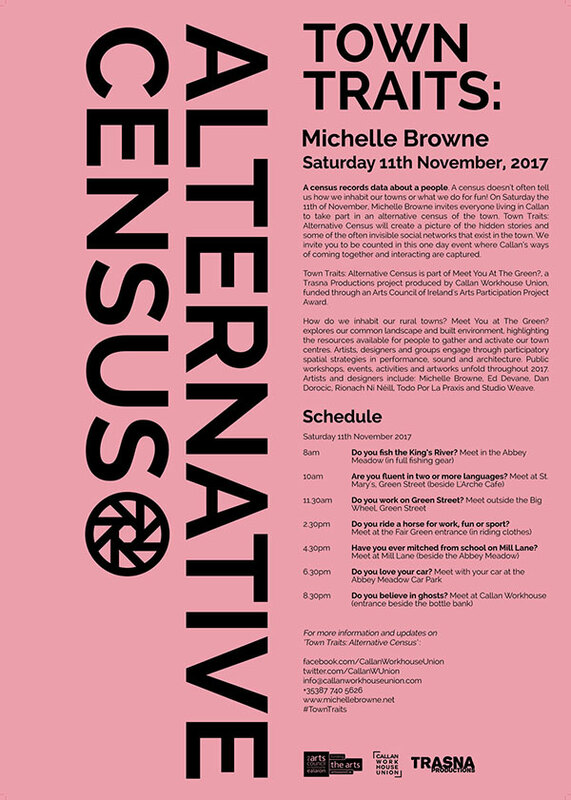 On Saturday the 11th of November, Michelle Brown invites the people of Callan to take part in an alternative census of the town. Town Traits: Alternative Census will create a picture of the hidden stories and some of the often invisible social networks that exist in the town. The People of Callan are invited to be counted on this one day event where Callan's ways of coming together and interacting are captured as part of this photographic portrait of the town. 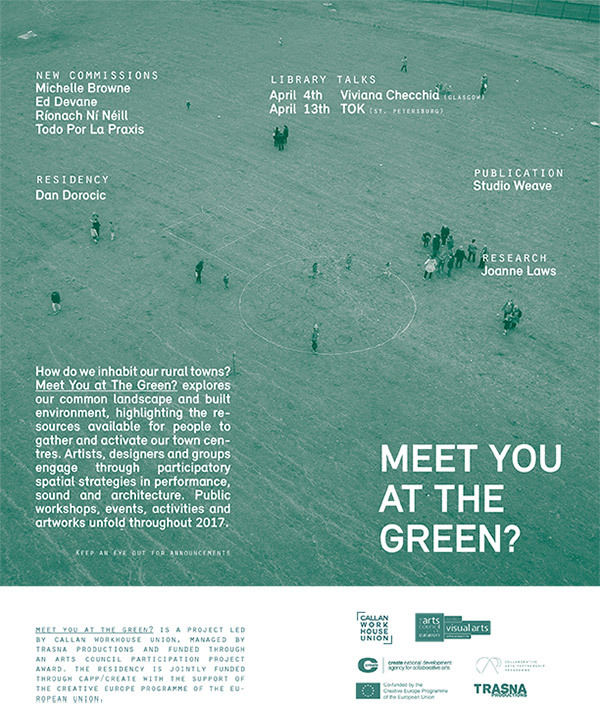 Town Traits: Alternative Census is part of Meet You At The Green?, a Trasna Productions project produced by Callan Workhouse Union, funded through the Arts Council of Ireland Arts Participation Project Award. Michelle Browne has been selected from over 500 applications worldwide to take part in Creative Producers International, a three-year programme designed specifically to build the capacity of Creative Producers as city change-makers, supporting them to engage communities and deliver public-space projects that inform the evolving dynamics of their city. 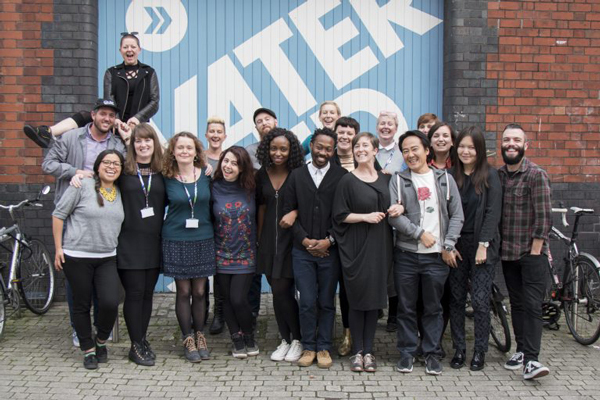 Creative Producers International is a new global talent development programme led by Watershed in Bristol. The programme expands the work and ethos of Playable City, which has been adopted across five continents and puts people and play at the heart of the future city..
Michelle Browne and Callan Workhouse Union have been selected as part of the Arts Council of Ireland Open Call Programme for 2018. Open Call is an Arts Council programme which funds ambitious, once-off artistic projects by some of Ireland’s best artists and arts organisations. 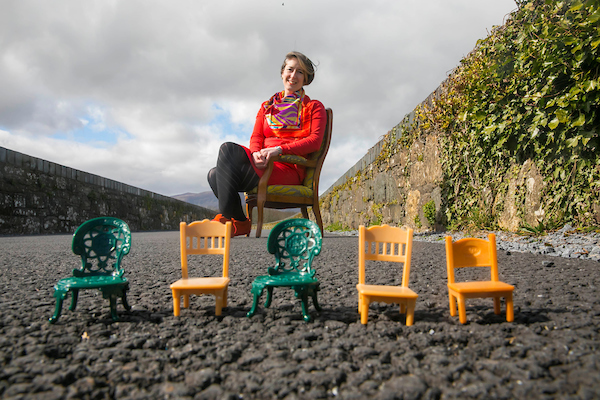 Browne and CWU will present Bring Your Own Chair, a performance in public space in 12 acts, across 12 small towns and villages in the South East region (counties Waterford, Kilkenny and Wexford). The project is will develop in distinct stages through participatory design, craft and performance workshops and residencies. As the heart of our small towns face decline, Bring Your Own Chair looks to reclaim public space for collective experience and action. Bring Your Own Chair asks what can art do to contribute to the reactivation of public space as an agora – an arena for civic engagement? 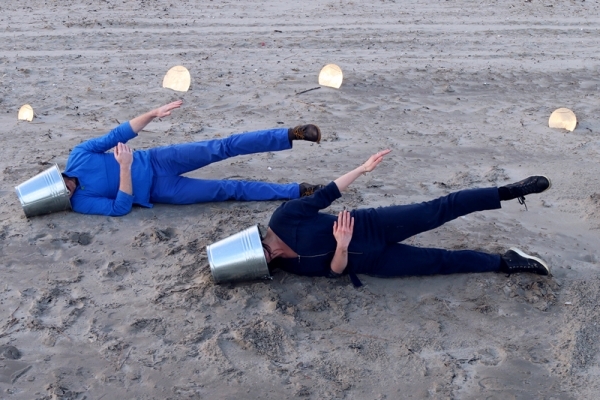 Michelle Browne will present a newly commissioned work as part of Meet You At The Green? curated by Callan Workhouse Union, a developing facility for art, design, research and community activities in Callan, Co. Kilkenny, Ireland. Meet You At The Green? explores our common landscape and built environment, highlighting the resources available for people to gather and activate our town centres. Michelle Browne will lead a workshop focusing on how people move around Callan. With the help of the local towns people she will gather routes and stories, shortcuts and secrets about how the inhabits make Callan their own. Through this research she will develop a new participative work for the town that will be presented in Autumn 2017. 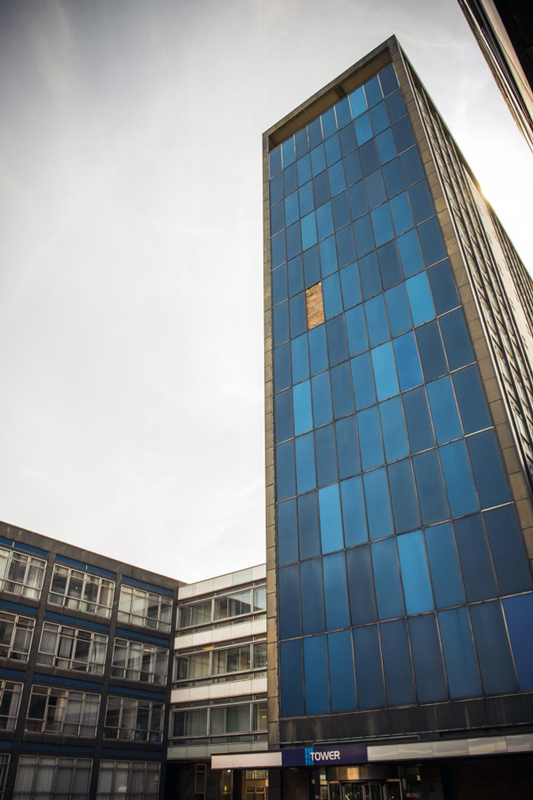 Michelle Browne will present a newly commissioned work Now Thus Now Thus as part of The Invisible City, commissioned by Heart of Glass, an agency for collaborative and social arts practice based in St Helens, Merseyside, UK. Michelle Browne will present Mná na hÉireann as part of My Brilliant Friend at Temple Bar Gallery, Dublin from 1st July - 3rd September 2016. The exhibition is curated by Rayne Booth and features the work of Michelle Browne, Avril Corroon, Ella de Búrca, Lisamarie Johnson, Laugh a Defiance. The exhibition considers female solidarity, work, economy, protest and how to negotiate life in Dublin as an artist and a woman in 2016. The art works that result come from a context of crisis, injustice, disappointment, and yet they show humour, warmth, solidarity, generosity. Michelle Browne will present Mná na hÉireann as part of ART WORKS, the 37th annual open submission exhibition and art prize. Running for 10 days at VISUAL and St Patrick’s College. The exihibition will also features work by artists selected from open submission as well as 5 invited artists. This year ART WORKS has been selected by Annie Fletcher, Senior Curator, Van Abbe Museum, Eindhoven & Claire Feeley, Producer Barbican, London. Michelle Browne will present a newly commissioned work as part of this group exhibition across the county of Mayo. The exhibition takes Kathleen Lynn as its starting point, and Browne will present a work that deals with the politicization of women and their role in politics in contemporary Ireland. The exhibtion is curated by Catherine Marshall and funding by The Arts Council of Ireland. Border Crossings (Ireland/Australia) brings together curators and visual artists from Ireland and Australia to respond to cross-cultural issues surrounding the legacy of colonialism & the challenges of reconciliation that are relevant to both countries. 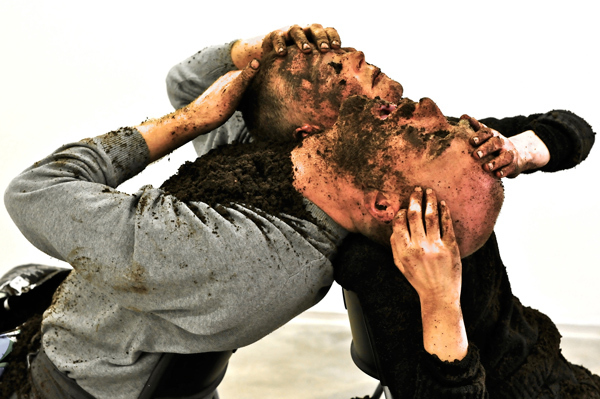 Image: Sandra Johnston & Dominic Thorpe, Due Process 2, performance, Third Space Gallery, Belfast, 2011. New and Past work is being added to this site regularly. Click on projects or info below for more information. facebook | twitter | vimeo | email | © 2016 Michelle Browne.